I read some interesting books from Leonard Nimoy (twice about Spock), Dostojevski’s ‘The Idiot’ and a theory about Hitler escaping to Argentina. It’s the topic of many films and books, most in high fantastic approach, that the nazi’s somehow escaped. To the moon even, if we may acknowledge the film ‘Iron Sky’. 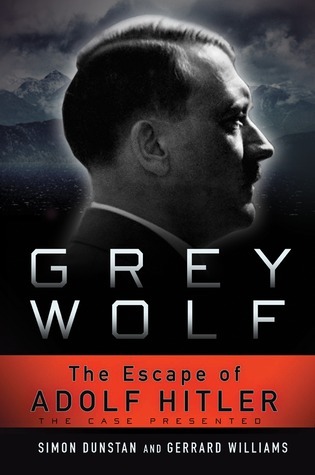 With this sensationalist book the writers have posed that Hitler did indeed escape in an elaborate plot to Argentina and lived hout his life there. The truth of this book has been highly disputed and ridiculed by historians. There are plenty of sources though, that state a similar truth. IN fact, there is also public FBI files on the topic. When dealing in absolutes, these still make it highly unlikely that Hitler did escape. So reading this book should be done as if reading a historical ‘what if’ story, with a string of factualities that might, possibly lead to an alternative ending. The writers are clearly from a journalistic angle and there for really know how to sell the story to you. You’ll find yourself considering the reality of their version highly likely at some point. It’s a captivating read, but should not be confused for fact. Really, it shouldn’t be. There is a lot of dirt to be found in regard to the third reich and its decline and this book is trying to dust of one of the biggest questions concerning the possible escape of Hitler. It’s well written, exciting and full of accounts to prove the theory. Well worth reading, but probably not believing unless you like tin foil hats. I’ve been enjoying a bunch of Russian classics lately and I still find them hard to read often. Not because they are boring, but it’s endless details and focus on the internal turmoils of the characters, the focus on the feelings and expressiveness and the endless superlatives that come with it can be exhausting. Ever since Iggy Pop’s ‘The Idiot’ came up as Ian Curtis’ suicide record I’ve been intrigued by the title and the link of that title to the book. It’s far fetched, but I’ve always felt this might get me in touch more with things from that time. So this is one of the Dostojevski books I’ve read and enjoyed. The book focusses on Prince Mishkin, who is to all extents and purposes an idiot, a simpleton and a fool. This allows for the society he takes part in a strange touch stone with a guy they can just make fun of and mock, but who turns out to have a much deeper understanding of peoples drives and motivations than any other. Unfortunately not of his own and the story continues while everythign unravels and pretty much everyone ends unhappy and dispersed. It’s writing style is elaborate and rich, focussing much on the main few characters. The other characters are even more made fools, flat figures with good harts but little touch with reality, creating a strange disconnected feel for the reader. 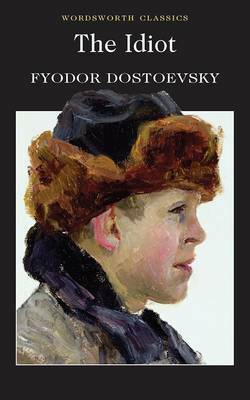 A recommendation for the Russian literature afficionado, but not one to take lightly. 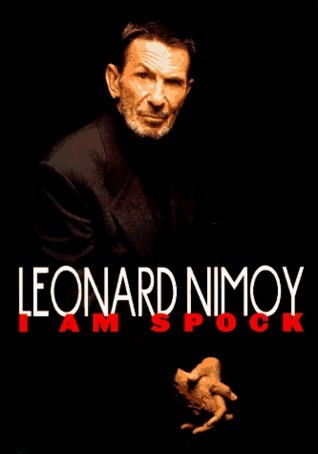 I have never been big on biographical works, but the autobiography of Leonard Nimoy was one I could’t miss out on. So I got myself the audio version, read by the man himself. It’s a glorious account of a wonderful life by Nimoy, from his childhood days to directing Star Trek. It deals with the struggle he had with the character Spock and is a direct reply to his previous book, titled ‘I Am Not Spock’. The embracing of this character and making it a part of himself is a heartfelt account of personal identity, acceptance and knowing the self. Nimoy describes the troubled history of the original series, the switches in directors and the inevitable end the show was heading for. He also is very clear about his strong affinity with the character and his commitment to making it work, causing conflicts with the directors and writers but which have made Spock the beloved character we all love and adore. He is funny enough very limited on his personal life, which is fine but noteworthy. The funniest bits are the dialogues with himself, with Spock and Nimoy, who discuss certain issues with eachother. This is a great listen or read for lovers of Star Trek, but really for any human being that wants to see how far integrity and honesty get you in life. Live Long and Prosper. Strange choice ofcourse, to read the latest autobiography first and only then focus on the original. Well, I did so anyways, which was regrettably not too rewarding. Where the second edition is narrated by Nimoy himself, on this original you’ll have to make do with another guy. He tells you in big lines the same story as told in ‘I Am Spock’, but allows no doubt to exist about Nimoy’s struggles with the character and firmly keeps the door to the future shut. Where Nimoy seems elated and free in his later autobiography, this one seems apologetic, difficult and written in a time of struggle. Turns out later that this was actually the case. What I did enjoy in this biography, which was lacking in the later edition, is Nimoy’s passionate descriptions of his love for photography and how he started on it and the pivotal role it played in his carreer. 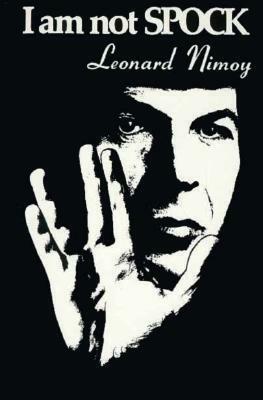 It ironically shows a man much more like Spock than the jovial Nimoy in his later version of the life story.